Encourage the very young with the reassuring parable of the Lost Sheep, found in Luke’s Gospel. With gentle, friendly illustrations and an engaging narrative this little book is a wonderful addition to the popular ‘My Very First Bible Stories’ series. Want a colourful way to share God's word with 3-5s? "Imagine you have a hundred sheep. One day when you are counting them, you find that one is missing..."
This is the up-lifting story of the lost sheep. The book is in a cute little paperback format and features gentle illustrations and simple text that is designed to engage young audiences. 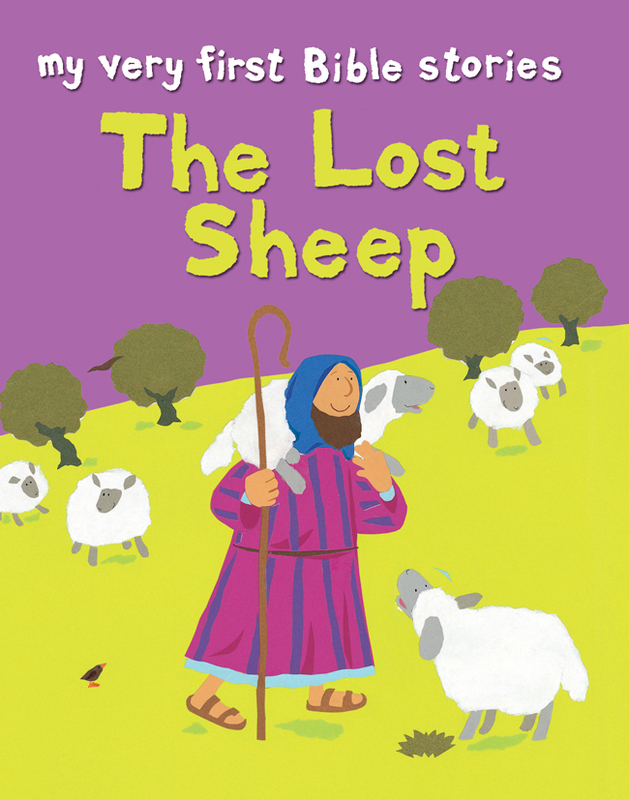 "The Lost Sheep" is part of the My Very First Bible Stories series. The series is ideal for use during classes, for prizes, and for spending pocket-money! Clear, strong pictures not only help children remember the stories, they help grown ups voice the story for the youngest children (2 years up), with simple words and sentences for those early 'read for myself years' of 4 to 6. The My Very First Bible Stories series includes: 1. In the Beginning; 2. Noah and the Ark; 3. Moses and his Sister; 4. Brave David; 5. Jonah and the Whale; 6. Daniel and the Lions; 7. Baby Jesus; 8. Jesus and the Storm; 9. The Good Samaritan; 10. The Lost Sheep; 11. Our Father; 12. The Easter Story. The Lost Sheep by Lois Rock was published by Lion Hudson in May 2011 and is our 150th best seller. The ISBN for The Lost Sheep is 9780745963136. Be the first to review The Lost Sheep! Got a question? No problem! Just click here to ask us about The Lost Sheep. Do you offer a discount for multiple copies brought? Would love to give these out at a guest service we have coming up, probably needing ~50. A:If you get in touch with the great people at customer services, either by email (service@eden.co.uk) or by phone (the numbers of which are at the very top of each page), someone there will be able help you with bulk purchases. Thank you for using the Q&A Forum.